Plays in your core. 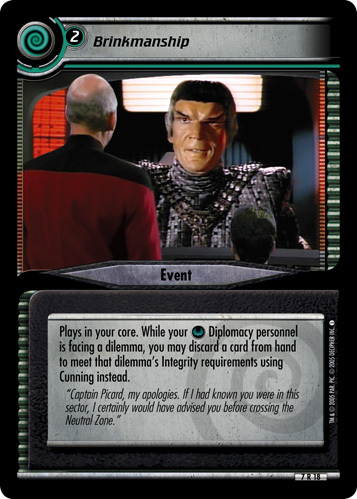 While your Diplomacy personnel is facing a dilemma, you may discard a card from hand to meet that dilemma's Integrity requirements using Cunning instead. "Captain Picard, my apologies. 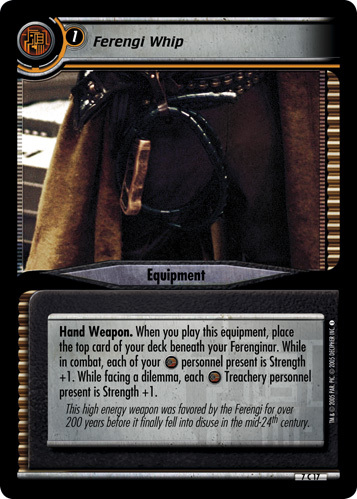 If I had known you were in this sector, I would have advised you before crossing the Neutral Zone." Image Source: The Next Generation: "The Enemy"